Beldum in game: 2,842 Who? Important notice! Pokemon Beldum is a fictional character of humans. Beldum is a robotic Pokémon that has a long body with a set of claws sticking out of its rear end. 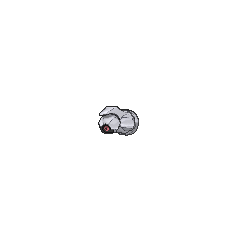 It has one large, red eye in the center of its nearly spherical head, which is set into a ball-and-socket joint at its front end. A short crest projects from its body and extends over its head. Even though Beldum is a mechanical creature, it still has emotions, the need to eat, and a way of reproducing. 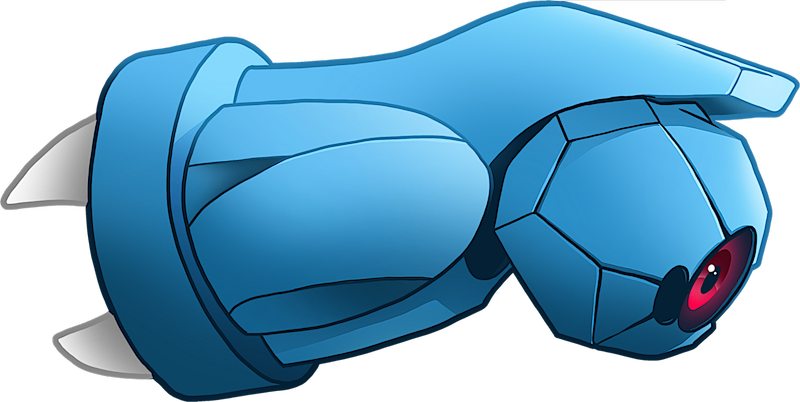 Beldum's body lacks blood, and is instead powered by a magnetic force. 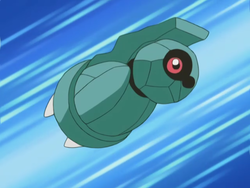 It uses magnetism to move, communicate, and control its attacks. 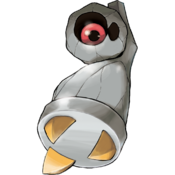 Beldum sometimes gathers in swarms, communicating with each other telepathically. 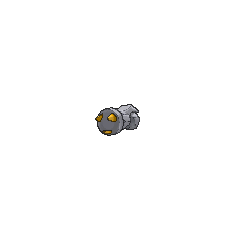 Beldum is scarce in the wild, but it does tend to inhabit areas with rugged terrain. It anchors itself to a cliff using its hooks when it sleeps. Beldum first appeared in Less is Morrison where it belonged to Morrison. It evolved into Metang in Saved by the Beldum. A Beldum appeared in Zoroark: Master of Illusions under the ownership of a Pokémon Baccer World Cup participant. In Pokémon Adventures, Steven owns a large amount of Beldum that serve, along with a Metang and Metagross, as miners that help him unearth rare stones in various caves around Hoenn. 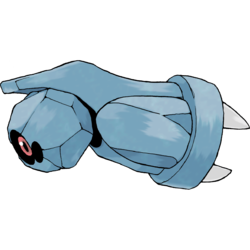 These same Beldum were called upon to defeat the Mawile herd in Granite Cave when both Ruby and Steven were attacked by them. Four of Steven's Beldum later formed the party that would unseal the legendary titans, which included Sapphire's Lorry and Relly. Occasionally turns one non-Support Pokémon into a block.